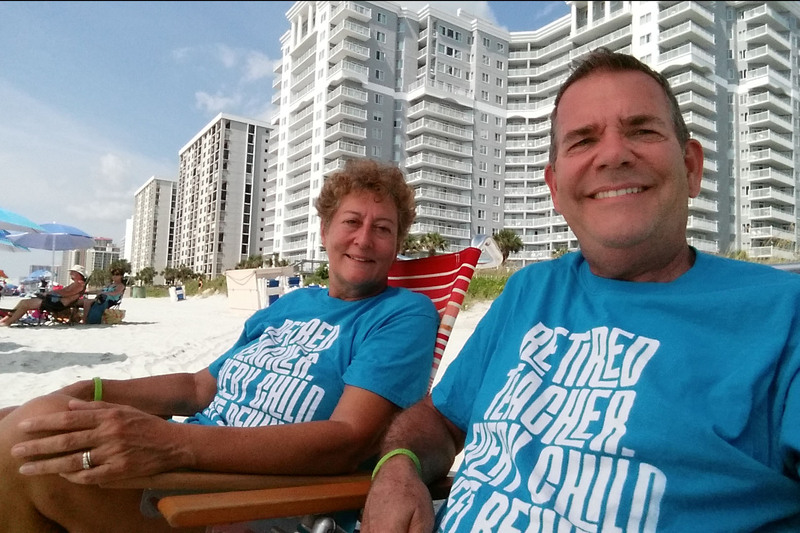 Thanks for the shirts, Bernie! Anyway, Myrtle Beach has a nice beach and we are right on it. Not with our RV, although there are several RV parks that are right on the beach. We are using our time share points for this week. Lots of pools and hot tubs at this resort; several walks along the beach and a bike ride to stay active. Local happy hours have been good for inexpensive meals of finger foods and seafood. Complaint department: Let me share one frustration about using a time share that you own . . . while using the vacation you paid for, you have to fight off the “upsell” that happens every time. To get your parking pass you have to visit a separate desk, where they try to schedule you for a complimentary breakfast or lunch and maybe $50 (which experience has taught us takes hours and is a timeshare sales pitch) and find yourself having to explain that all you want to do is relax. Then you receive phone calls about your “welcome gift” which has to be presented to both adults and consists again of the Q&A about extra vacations, more points and such. Be careful about the morning coffee and snacks for owners – heavily populated by sales staff. So can you ever just use the vacation and not be pushed to buy more vacation??? Guess not. Great view of the beach! 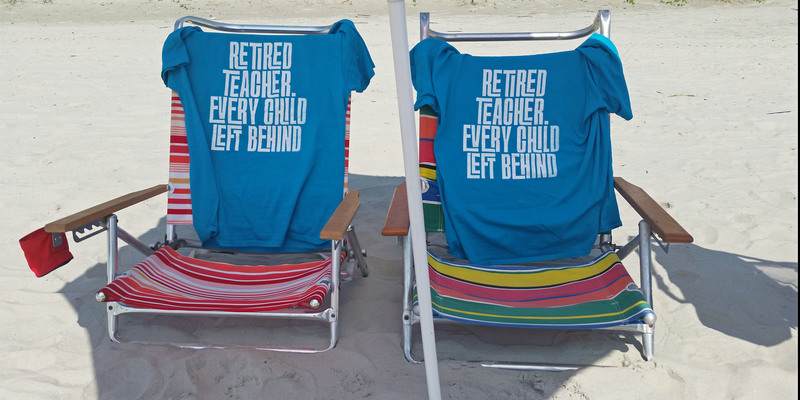 Beach chairs that say it all . . . 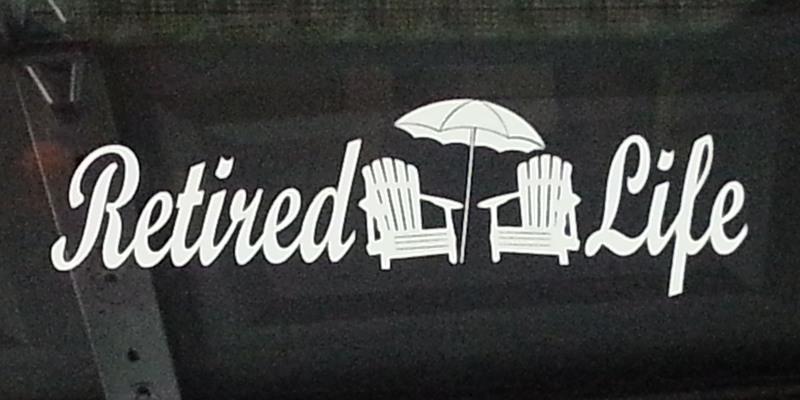 The heck with ‘Salt Life’ – THIS one is on my car. Ok, you remember the day that I helped push a wheelchair across the beach (with the brake still on)? Sitting on the beach this week, there was another couple using a wheelchair across the sand. I figured I would try once again to help out, so I helped pull the chair (a regular wheel style) across the sand and up the ramps back to the hardscape of the resort. No brakes on . . . success! Just had to stop for a brew and barbecue! 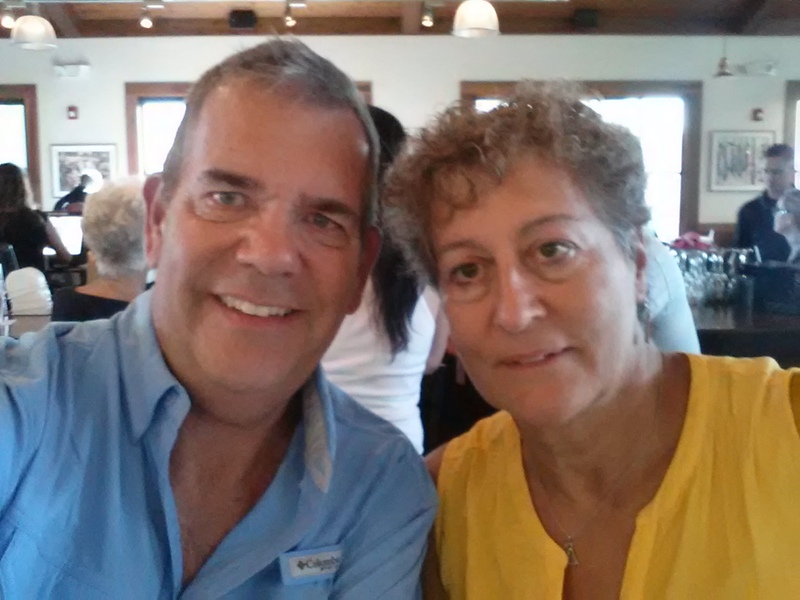 We head home at the end of this week, via Charleston (never been there yet) and a quick visit with my parents in Hilton Head. 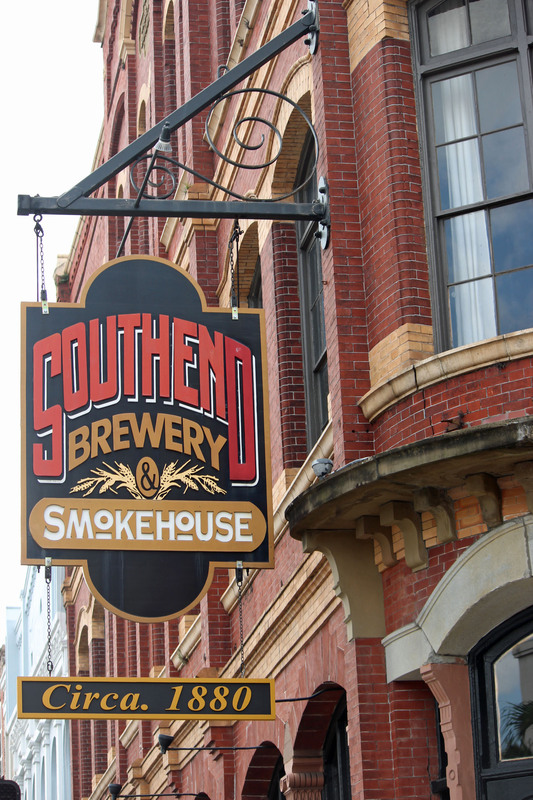 Southend Brewery was a cool spot to sample some craft beer and eat some barbecue. One week left before we roll out with the RV and the pets on our westward adventure. Hope we remember to pack everything! Be sure to check out the Places Gallery where I can post more pictures from our trips, and tell your friends to follow us on the blog! Thanks for the comment, Cheryl. 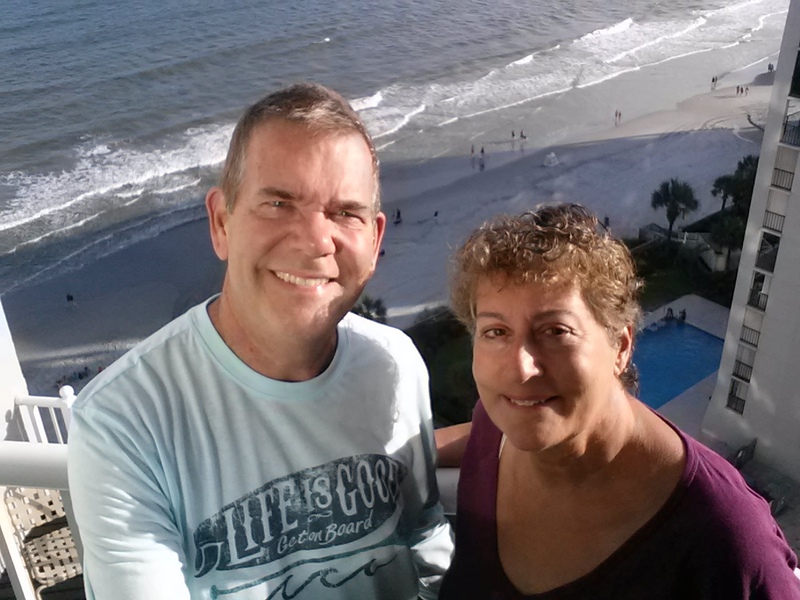 We had a great time at Myrtle Beach, water and weather were plenty warm and crowds were less. Off to another adventure this week – check back to see where we end up. Have fun! And I will! !